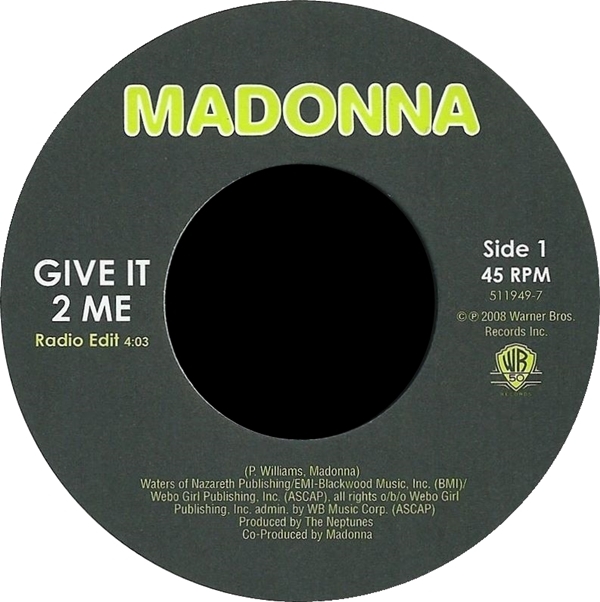 On August 5 2008, Madonna’s Give It 2 Me was released as an eight track CD maxi-single by Warner Bros. Records in the U.S. It included amazing club remixes by Eddie Amador, Paul Oakenfold, Fedde Le Grand, Tong & Spoon, Jody den Broeder, and a ragga mix by Sly & Robbie. 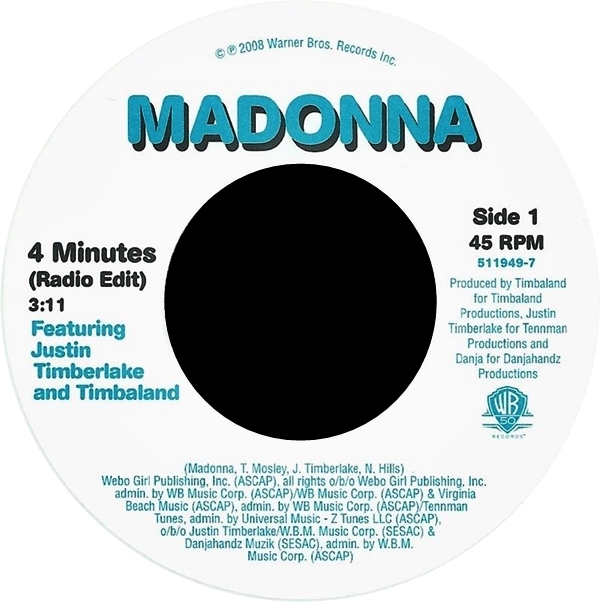 The single was also issued in the U.S. as a double-vinyl 12-inch set, a 12-inch vinyl picture disc and as a double-vinyl 7-inch set coupled with her previous single, 4 Minutes. Though no Canadian pressings of the single were issued, the U.S. CD maxi-single was distributed to Canadian retailers with a Warner Music Canada special import sticker. Give It 2 Me was the second single from Hard Candy. It was written by Madonna & Pharrell Williams with production by Madonna & The Neptunes. On May 12 2008, Madonna’s Hard Candy album was released in the UK in a Limited Collector’s Edition Candy Box. The Candy Box included a 14-track edition of the hit album (containing the standard version of the album and two bonus 4 Minutes remixes), a bag of Starlite Mint candies and a 16-page booklet. The exact same version was released in North America on April 29 2008. On August 26 2008, a double white vinyl 7-inch set for Madonna’s Hard Candy singles 4 Minutes and Give It 2 Me was released in the U.S. by Warner Bros. Records. 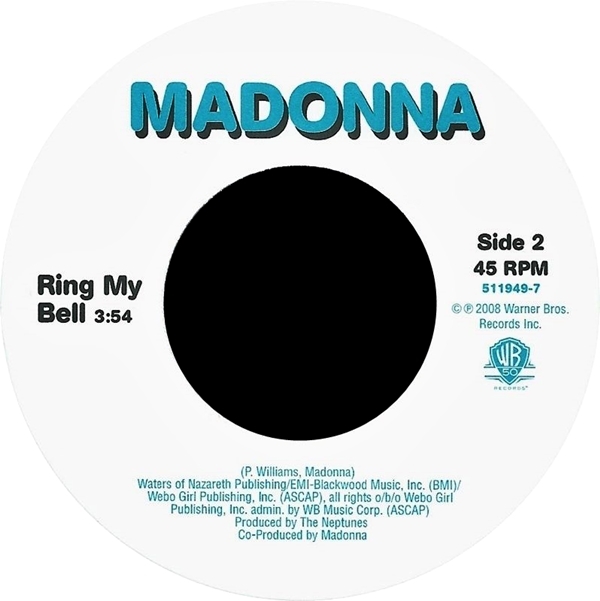 This unusual collectible was Madonna’s first U.S. 7-inch single to include a picture sleeve since Keep It Together in 1990, and her first U.S. 7-inch single to be released in general since 2003’s American Life single. The set also featured the non-album track (outside of Japan) Ring My Bell and the Eddie Amador House Lovers Edit of Give It 2 Me as b-sides. Pimp – A mashed up homage to 1920’s deco and modern day gangsta pimp. Madonna makes a grand entrance dressed by Givenchy. Old School – Madonna tips her hat to her early 80’s downtown New York City dance roots with flashes of Keith Haring and the dance culture vibe of the time including the birth of rap. Gypsy – A VIP trip to La Isla Bonita infused by the spirit of Romanian folk music and dance. A tour de force. Rave – Far eastern influences emerge all sparkly and sporty. Sticky & Sweet kicks off this Saturday August 23rd at Cardiff’s Millennium Stadium. The tour hits London’s Wembley Stadium September 11th. The Sticky & Sweet Tour is produced by Live Nation Global Touring. On May 13 2008 Madonna scored her seventh Billboard 200 #1 album in the USA with Hard Candy. The achievement broke a tie with Janet Jackson and Mariah to give Madonna sole ownership of the #2 spot of all-time among female artists. Only Barbra Streisand, with eight #1 albums had more.